The thyroid is a butterfly shaped endocrine gland just under the Adam’s apple area of the neck. It is responsible for regulating all the metabolic processes in your body, your digestive system, and your reproductive system. Basically, it tells every single cell in your body what to do. Yeah, it’s got an important job. The thyroid is controlled by the hypothalmus and pituitary glands. Basically, the hypothalmus sends out hormones, called TRH (thyrotropin releasing hormone), to the pituitary gland telling it to secrete some TSH hormone. TSH (thyroid stimulating hormone) is the hormone that tells the thyroid to secrete the hormones it produces. When doctors test for thyroid problems, they usually order a TSH test to test the levels of that hormone in your blood. If the TSH levels are high, it means that your body isn’t getting enough thyroid hormone, which is called “hypothyroidism”. If the TSH levels are low, it means that your body is getting too much, which is called “hyperthyroidism”. Currently, the “normal” range many doctors use for TSH levels is 0.3 – 3.04, but it can sometimes vary between different doctors and hospitals. 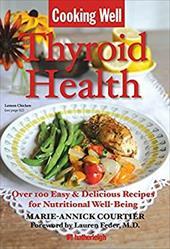 There are two hormones that the thyroid produces, an inactive hormone called T4 (thyroxine) and an active hormone called T3 (triiodothyronine… that’s a mouthful!). Your body converts T4 into T3 and T3 is the hormone that does most of the important work like regulating body temperature, your heart rate, etc. T3 is ten times as powerful as T4. In addition to a TSH blood test, doctors sometimes order Free T4 and T3 tests to measure those hormone levels as well. If your body has trouble converting T4 into T3, these blood tests can help determine that. If you suspect you are having thyroid problems, request that your doctor order these blood tests to help determine what’s wrong. Now that you know what a thyroid is, find out what Hashimoto’s Thyroiditis is.